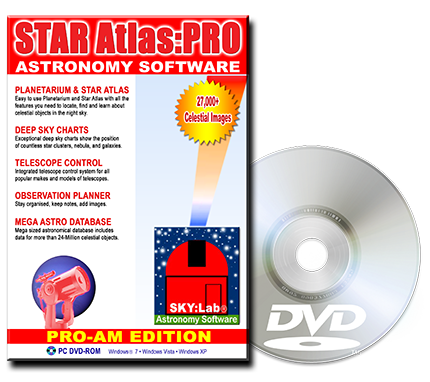 Our Astronomy Software called STAR Atlas:PRO™ has sold world-wide for well over a decade and is packed with features for astronomers and stargazers of all levels. explore the universe to it's limits and back! Find the location of countless celestial objects in no time at all, display & print detailed star charts, point 'n click to control your telescope, plan observations, dozens more features. 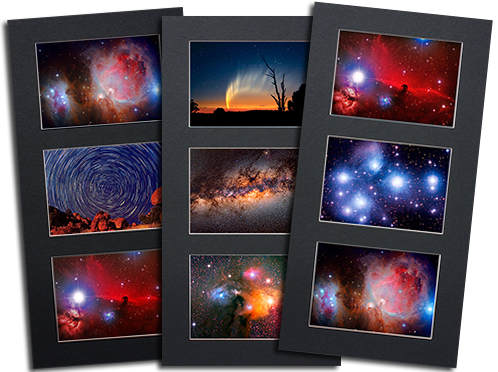 Exceptional Star Charts displaying more than 18-Million Stars, 1.3-Million Galaxies, tens of thousands of nebula and star clusters, planets, comets, 2.8-Gigabytes of data. You can find out everything you need to know about our acclaimed astronomy software at our STAR Atlas:PRO™ website.